Silver Cliff was a famous silver-mining camp in central Custer County. 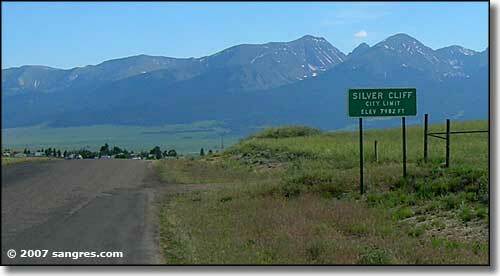 The silver strike here was so rich that the population boomed and Silver Cliff became the third largest town in Colorado Territory (after Denver and Leadville) for a while. Around the time of statehood, the politicos even entertained the idea of making Silver Cliff the state capitol. 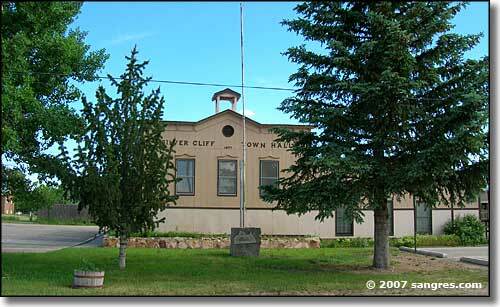 Silver Cliff took the county seat from Rosita in 1886 but lost it to Westcliffe in 1928. This was a rough and rowdy town in those early days. The big mine was the Silver Cliff Mine, later known as the Geyser Mine. The mine might have been profitable except for the actions of certain East Coast stock manipulators. Shares in the mine were first promoted and sold by a James R. Keene of New York. Keene was reasonably famous as a scam operator and he took the company into bankruptcy within a few years. 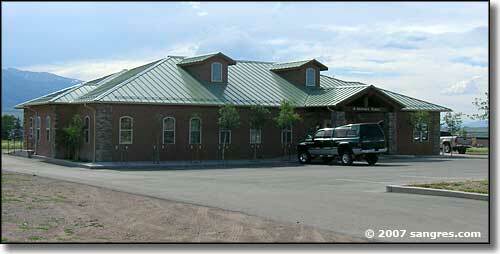 Then the property was sold to the Julianna Mining Company, run by a Dr. Richard C. Flower of Boston. Flower was even more unscrupulous in his stock promotions and sales and he also took the company into bankruptcy, in 1888. Shareholders then rescued the company and renamed it the Geyser Mining Company, but the primary operators were more of Flower's cronies and they operated in the same way. In the end, the mine never turned an official profit. 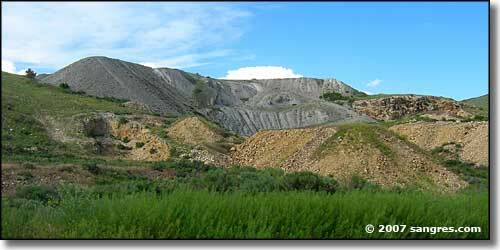 At one time, though, it was the deepest mine in the state of Colorado. Mining continued here long after the Gold Bugs succeeded in getting the United States to go off the silver standard and onto the gold standard in 1893 when the Sherman Silver Purchase Act was repealed (a political action that wiped out many silver millionaires and created many gold millionaires overnight - quite a few federal politicians made out very well on this one, too). When General Palmer and Co. brought in the Denver & Rio Grande Railroad, they did their usual thing: they bought cheap land just west of Silver Cliff and built their railhead there. 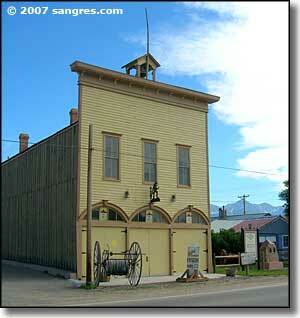 Eventually, that forced nearly all business to relocate to Westcliffe onto land they had to buy from the railroad. Sooner or later, though, the mines played out and cattle ranching took over as the primary industry in the area. At that point, Silver Cliff started to dwindle away, although the town is now seeing a resurgence of population as Custer County becomes more well-known for its spectacular scenery and laid-back lifestyle. Today, Silver Cliff is bit bigger than Westcliffe in terms of population, although Westcliffe is still the business center of the county and the government center, too. As usual, I drove around town taking photos of things that drew me, and things that draw me aren't necessarily representative of the entire town but they do tend to be somewhat historical in nature... or somehow otherwise important (in my own mind, at least). 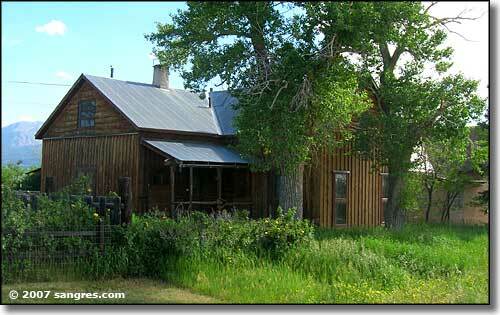 How big were the cottonwoods when the house was built?